Build your the temples more and more beautiful until they seem to touch the sky. A surprisingly vicious, ‘take that!’ card game that reveals a lot of interesting strategies if you play it enough. Lots of room for gazumping your opponent with well-timed card combinations. A 2-player favourite. 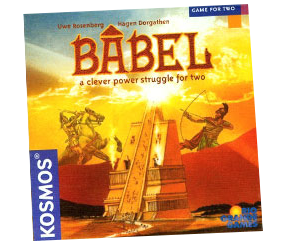 Includes the rule for Sumerians corrected by the game designer.